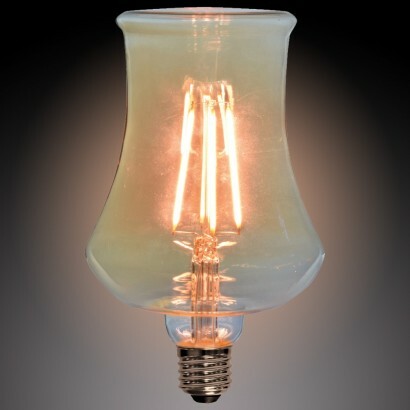 Stylish and unusual, this extra large vintage decorative glass bulb is the perfect finish for vintage lighting pieces where exposed filament bulbs become the main feature. 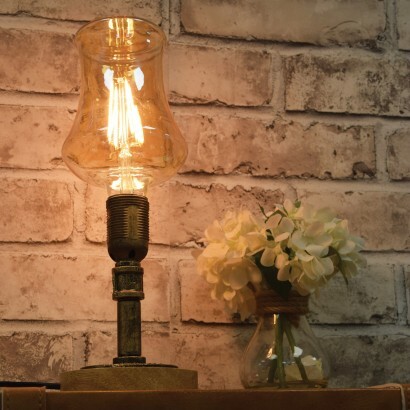 Super stylish and made from amber glass for a beautifully vintage feel, the LED filaments shine with a very warm white glow for the ultimate luxurious atmosphere. 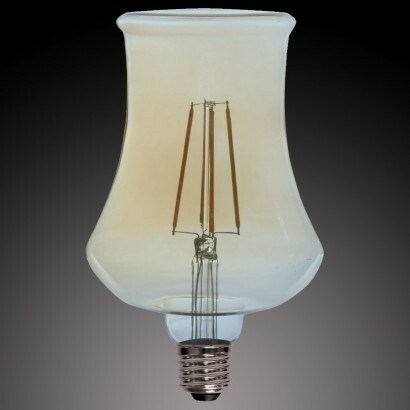 Shining at 350 lumens achieving instant full light, this over sized non dimmable E27 bulb finishes off minimalist vintage lighting pieces perfectly.